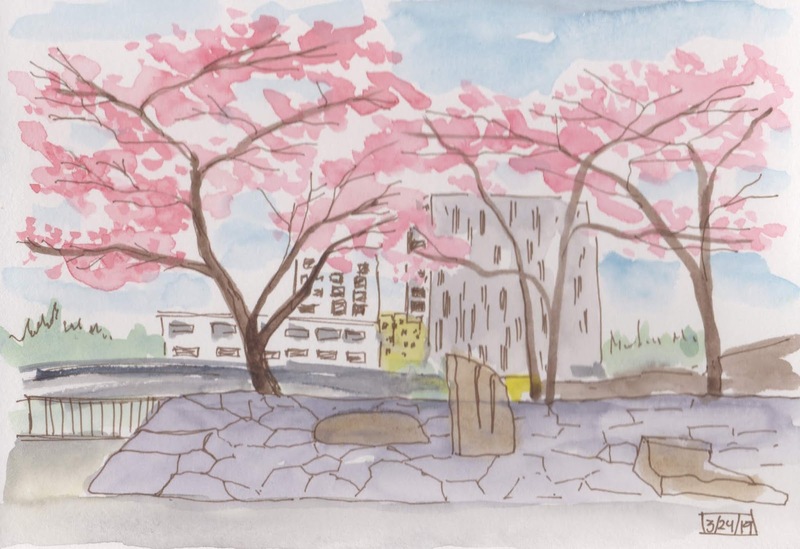 I've been to the NW waterfront three weekends in a row, trying to sketch the elusive cherry blossoms. The first weekend at the UskPDX sketchcrawl) there wasn't much bloom so I just sketched people. 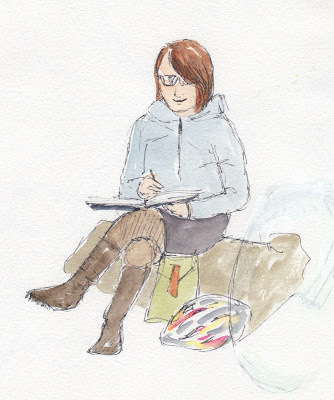 For some reason, I seemed to sketch legs either too long or too short! 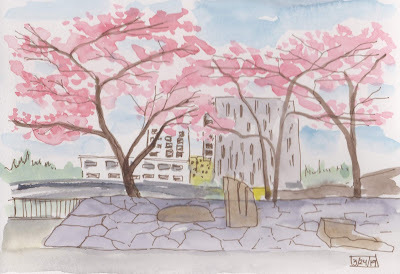 The next week, I sketched the trees that were beginning to bloom. Last weekend, there was a lot going on at the waterfront: a drone overhead, a musician with a faulty amplifier, a helicopter that made numerous trips, a man behind us enjoying his pipe of aromatic weed and the sounds of at least seven fire and rescue trucks headed north. 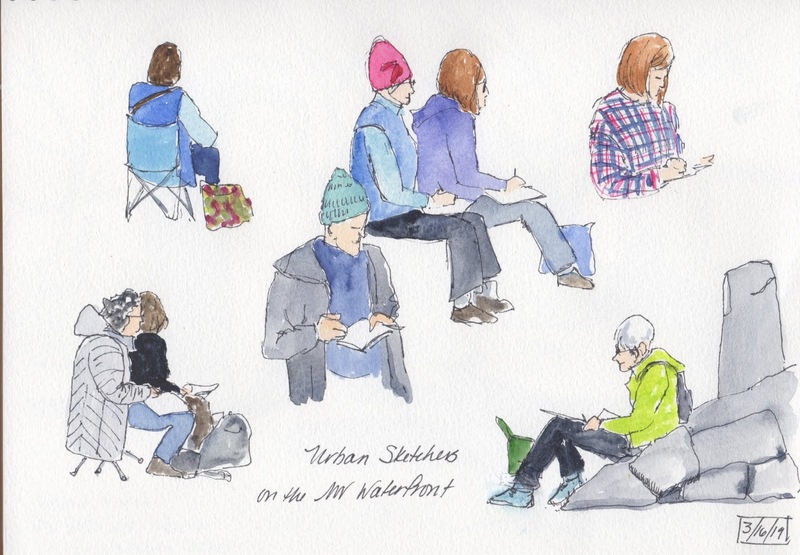 There were also many lovely families and friends and pets and people enjoying the beauty and the festive atmosphere of the waterfront at cherry blossom time.